It took about 3km to feel properly warmed up, and although I was fairly pleased with the time (35 minutes), I felt I could do better if I just had more energy. In fact, I’ve been feeling low on energy for a while, as I’ve mentioned in earlier posts. I spoke about this to my personal trainer – the wonderful Karen Marshall – this morning. She asked about my diet, and I revealed that I eat pretty much what my wife eats. ‘My God, that’s no good!’ she exclaimed, and as we talked more it became clear that I’m not feeding my body anything like enough for it to keep up with all this new running. 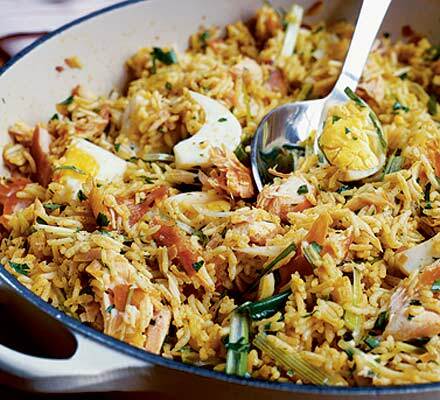 Kedgeree is good, apparently. Excellent. Good news all round. I ate a celebratory half-tonne of mash for my lunch, and will be continuing to pile in the (quality) calories ahead of a planned Big Run this weekend. I need to build my distances quite dramatically, so I’m planning a 15-miler. 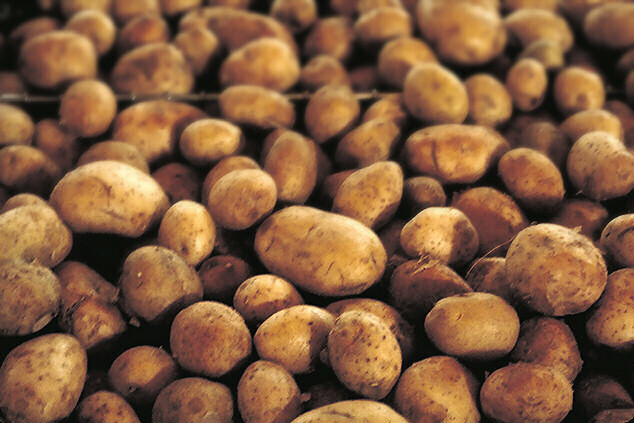 Better cook up some more spuds. This entry was posted in Diet, Running and tagged diet, energy, food, Running on 21 March, 2013 by reedwords.